Looking For A Popular Promotional Pen For Your Business Logo? Comments Off on Looking For A Popular Promotional Pen For Your Business Logo? Hot Selling Item! Promotional Satin Pen: One of the best promotional items you’ll give is a promotional pen. Your business needs custom satin pens for your next promotion and when choosing a new company pen. These advertising pens have been a hit with our customers and we have sold over 7300 units in the past month! The promo satin pen comes as low as 250 units for under $100, get this awesome deal because it won’t last forever! These marketing pens will be perfect for Restaurants, Real Estate, Dealerships, Banks, Insurance and Finance companies. They come with sleep design, rubber grip and is a great value for all companies. 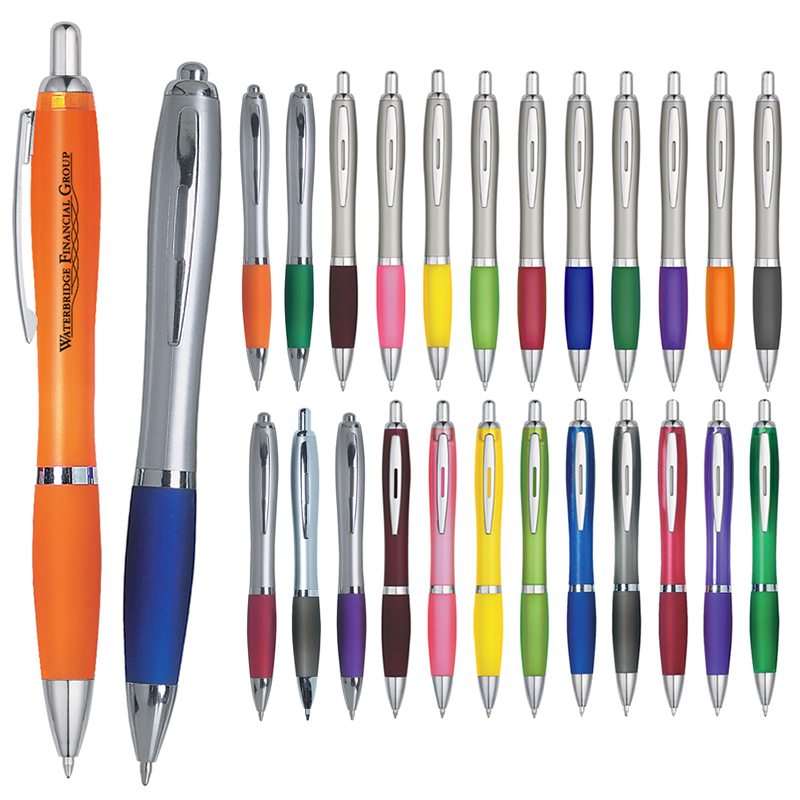 Pass these branded pens out at your business and your logo will be seen by hundreds of people every week. When it comes to the imprinted satin pen, the color combinations are endless for your logo, every color you can think of will be ready with your free logo and ship to you on our 24 hour free rush service. So let Executive Advertising decorate your perfect satin pen for all your clients and your employees. They will love this free advertising gift with your name to remember. And the satin pen also comes in a stylus pen option to use on your iPhone or iPad. If you want to learn more about our promotional satin pen, just contact our friendly sales team and we can assist you with bulk orders, colors, artwork and more. It’s easy ordering from Executive Advertising, it’s also a great deal to order our logo satin pens right now for your business or marketing promotion because the deal of $0.37/each won’t last forever! Previous postPromo Product Of The Season: Imprinted Mini Football Stress Balls! Next postAre You Following Executive Advertising’s Pinterest Boards? Promotional Halloween Ideas For a Fun And Safe Night! How Can You Make Your Wedding A Memorable Event?